A divorced writer goes to a picture-perfect small town to get over her writer's block and ends up falling in love with the town of Mitford, its inhabitants, and its most eligible bachelor, the handsome Episcopal priest who lives next door. 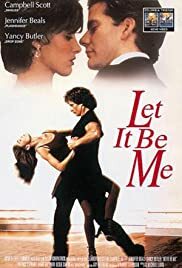 If you like dancing, you'll like this film in general but you might find it a little boring in places. Patrick Stewart is charming and he has a really good chemistry with Leslie Caron. It's really nice to see Jennifer Beals again, she's a fine actress and one of the great beauties of Hollywood, though she doesn't flaunt it like so many others. I saw on the credits that Elliott Gould (a great dancer) was in this film, but for the life of me, I could not find him in this movie.